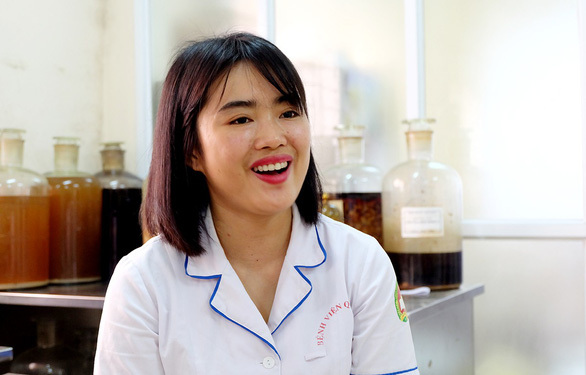 Vietnam witnessed its first liver transplant in 2004, when then nine-year-old Nguyen Thi Diep was given a fresh shot at a healthy life by surgeons at Military Hospital 103 in Hanoi. Diep was born with congenital biliary atresia – a condition in which a child is born with one or more bile ducts abnormally narrow or blocked. At age three, she went through a Kasai Procedure – a method to bypass these bile ducts – to help prevent damage to her liver. At age nine, he condition worsened and she was diagnosed with cirrhosis, prompting the need for a liver transplant. Both her grandfather and father offered to donate their organ, but her father proved to be the more suitable donor due to his young age and generally good health. Professor Le The Trung – former director of Military Hospital 103 – and his team successfully carried out the operation and gave little Diep a breath of new life. When Diep returned to school after a year spent preparing for and recovering from the surgery, both she and her friends were cautioned to avoid physical contact for fear of causing irreparable damage to the newly transplanted liver. “I wouldn’t be here now had it not been for the liver transplant fifteen years ago,” she said. And of course, she is fully aware of the sacrifice her father made for her well-being. “I’ve had a meaningful life. I’m indebted to all those who’ve helped me and sacrificed their health for me,” she shared. But while Diep is thankful for her good health, she does admit that she worries for her father. “He’s a strong, wonderful father,” said the daughter. “I know that he agreed to lose part of his liver so that I could live. I am doing well now, but at the expense of his health. A sick person who escaped death, Diep seems well connected with others who have undergone similar experiences. Her current boyfriend, a victim of chronic renal failure, is currently undergoing regular treatment at Military Hospital 103. “You two understand each other’s problems, so you have my total support,” her father told her when she brought up her relationship. Diep also participates in VIP 103 – a social group of more than 300 transplant patients at Military Hospital 103 which provides a forum to exchange information and encouragement related to treatment. “What makes me most happy is having all these people by my side so that we can share about the very life we value,” Diep said. 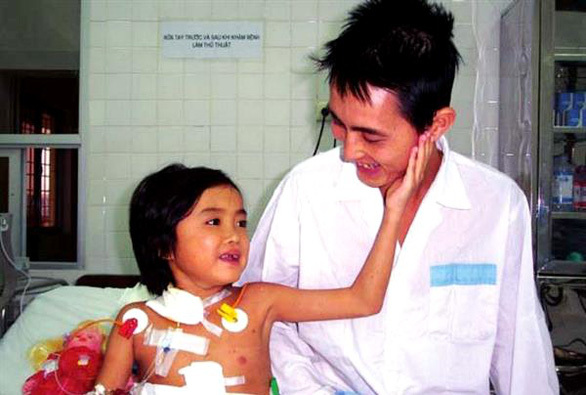 According to Associate Professor Doctor Bui Van Manh, head of the intensive care unit at Military Hospital 103, there have been nearly 100 liver transplants performed in Vietnam since 2004. 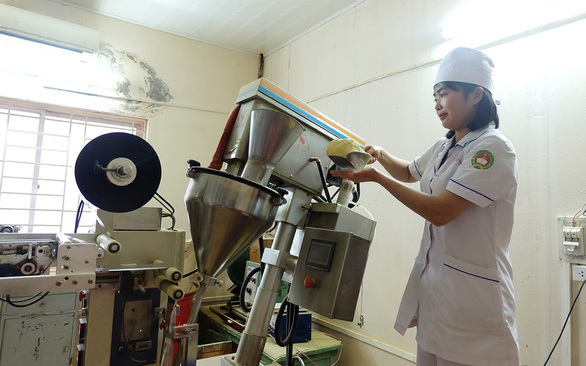 These operations are typically performed at such major institutions as the Vietnam-Germany Hospital in Hanoi or Cho Ray Hospital in Ho Chi Minh City. Some liver transplant patients have lived up to 30 years since their surgery.